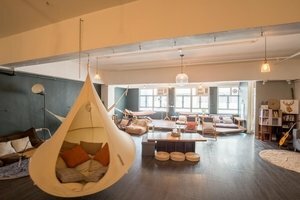 This modern loft in the bustling area of Kwun Tong is perfect for brands looking for a sleek venue to host a Private Sales, Product Launch or Photoshooting. This open loft space has a stylish feel with extensive windows which allow plenty of natural light into the loft, creating a fresh and well-lit ambience. 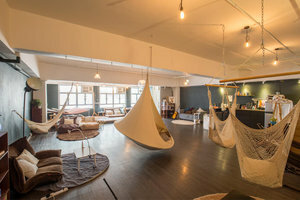 There are amazing interiors with wooden floors and interesting facilities like hammocks and tents. 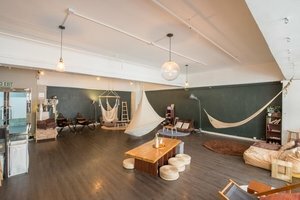 The loft has a warm atmosphere with an authentic edge. 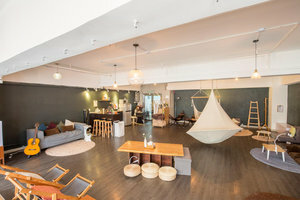 Extensive facilities including sound and video equipment, a kitchen and a security system, this loft space is a great option for private sale, product launch or photo shoot. 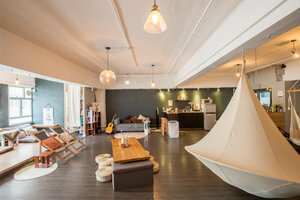 Situated close to the MTR station, this loft is well-located for brands or startups to organise a private sale or product launch in a creative setting.